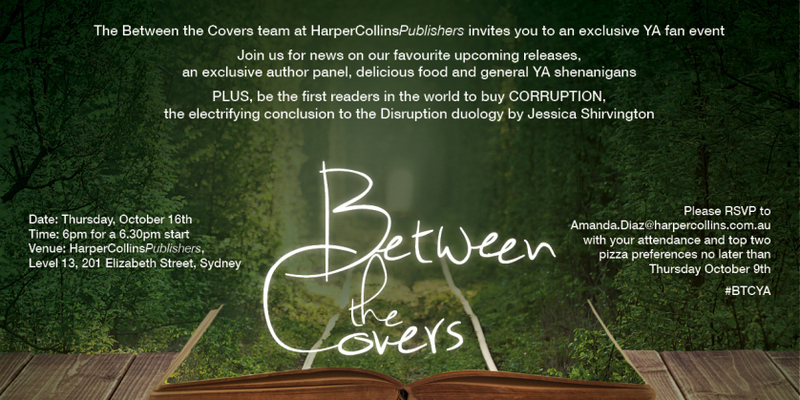 Did you miss my exciting news this morning? 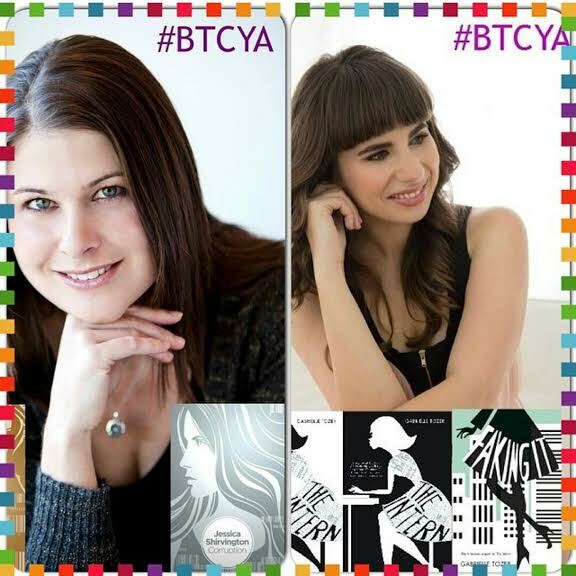 I will be one of the authors on the HarperCollins YA #BTCYA panel in October, along with the marvellous Jessica Shirvington (author of Disruption and Corruption). It’s shaping up to be a brilliant night filled with goodies, pizza, book talk, signings, authors, book-friend-talk panels and you should definitely – and I do mean definitely – come along and say hello! There are three more mystery YA authors appearing on the panel, so follow my social media for updates! The invite and RSVP details are below, so hop to it. It’s where all the cool kids will be. And a couple of dorks like me, too.